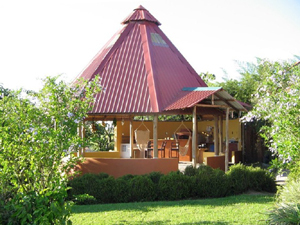 A chef’s dream and center of family or social pleasure extraordinaire is found adjacent to the house in a huge 40’x20’ detached rancho built to last forever of teak framing, steel roofing, and concrete and multi-colored slate flooring. 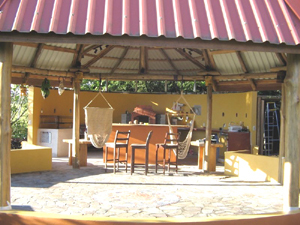 The custom kitchen includes a wood burning pizza oven, griddle, gas grill, wood BBQ pit, prep area and bar made of locally harvested Guanacaste hardwoods. It is cozy enough for al fresco family meals and large enough to host larger parties and entertain friends and visitors. 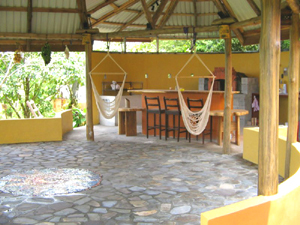 This rancho has twice served as concert venue, dance floor, and general hangout spot for a private bluegrass festival known as the Lavapalooza. 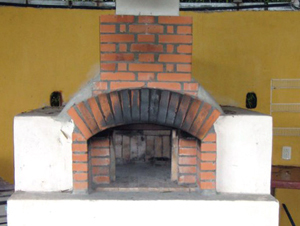 The ventilated high roof carries away cooking smoke and odors. 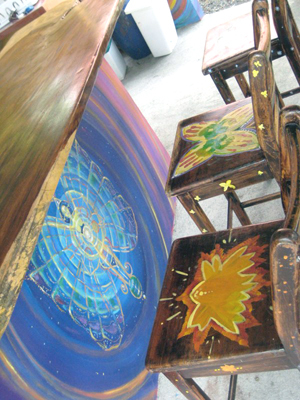 There's plenty of room for a variety of gatherings. 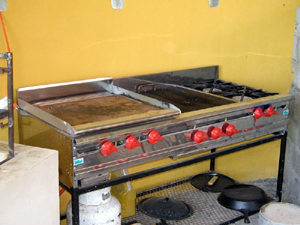 The array of cooking facilities is along the wall behind the bar. 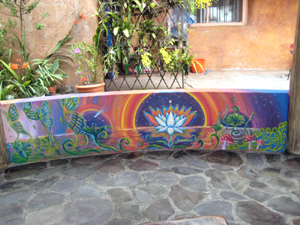 A Sue Ryan mural beautifies part of the rancho's surrounding wall. 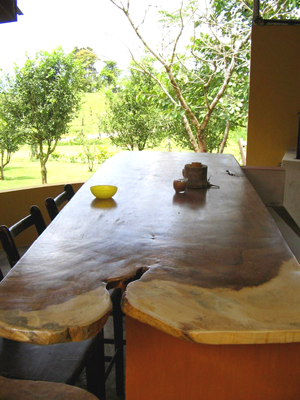 A hardwood table with fruit trees beyond. 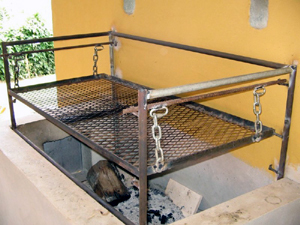 Wood and gas BBQ grills are among the chef's choiices. 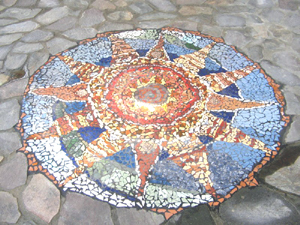 The mosaic sun in the rancho floor.